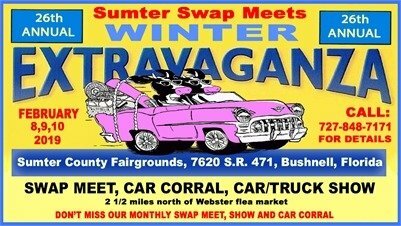 26th Annual Winter Extravaganza over 1300 spaces filled with vendors selling auto parts, Antiques, tools, auto related items, collector shirts. Car and trucks for sale in Car Corral. Door prizes, Craig’s trivia questions, food vendors.